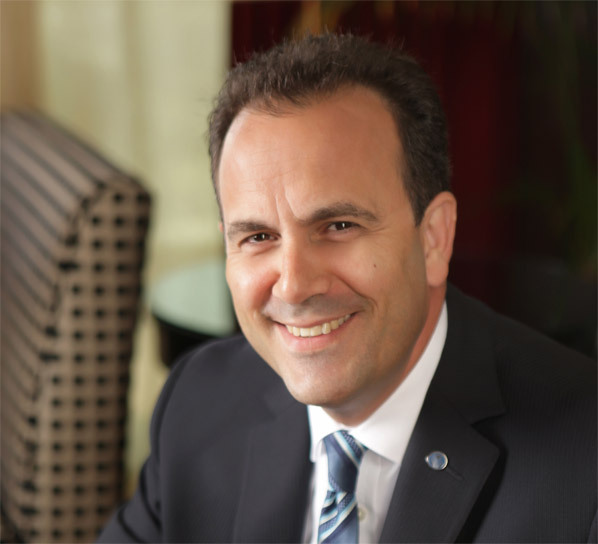 Omer Kaddouri has played a key role in shaping Rotana into what it is today. Under his guidance, the brand has increased its international presence, become more online savvy, invested in key marketing initiatives and expanded its portfolio. Here Breaking Travel News sits down to find out what is next on the agenda for this fast moving company. Under Kaddouri’s leadership Rotana has seen the opening of offices in China, India and Russia, and welcomed the execution of Rotana Earth, the brand’s sustainability initiative. Kaddouri has been part of the opening of the Rotana Hotel at KidZania in Dubai and a Black Cab campaign across the UK to woo more tourists to the UAE. Kaddouri has taken Rotana into the 21st century with investments in technology and its website, leading to a 120 per cent increase in online business. His human resources initiative, TAROT, targets graduates as well as colleagues whom Rotana believe have a bright future. Breaking Travel News: It has been a little over a year since your appointment to the leadership of Rotana Hotels, in January 2014. How has the direction of the organisation changed under your leadership? Omer Kaddouri: Prior to my appointment, I worked very closely in close collaboration with my predecessor Selim El Zyr, for a long time, to ensure a seamless handover. Rotana is a dynamic company which is growing very fast and I’m glad to say that at a crucial time, working with a figure such as El Zyr who has a wealth of experience behind him was invaluable to the process. Fortunately his presence at Rotana is still strong as he remains on the board as vice chairman. A large part of my role focuses on the evolution and cultivation of the brand in alignment with the group’s long term vision; to achieve a global footprint with the goal to operate 100 hotels by 2020. With this in mind, I see it as vitally important to keep Rotana’s brand promise and values, to offer a blend of world-class standards with genuine hospitality, at the forefront of our minds. We are intrinsic in our research and evaluation when identifying and assessing new travel destinations for new properties to join our portfolio. BTN: The Boulevard Arjaan by Rotana took the group into Jordan earlier this year. How has that property been received and what is next on the agenda for the company in the Middle East? OK: The opening of The Boulevard Arjaan was a key milestone for Rotana as we entered a new territory, further cementing our dedication to expanding our global footprint. The property is made up of luxurious hotel apartments and the concept behind this is to offer both corporate and traveller alike a first class stay away from home. The property has been significant in passing on the Rotana values and promise of exceptional service and a Treasured Time to the Jordanian market. We are very proud to be recognised as the leading hotel management company in the Middle East. 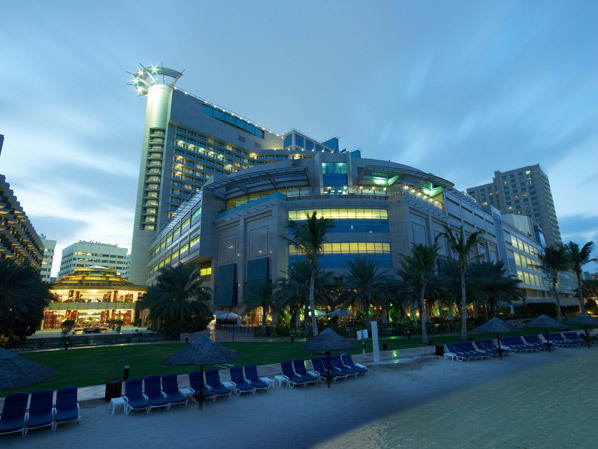 The brand has witnessed a rapid growth in the region since opening its first property, Beach Rotana, Abu Dhabi in 1993. This particular property is still one of Rotana’s most popular city resorts and that’s a nod to our determination in which we work to enhance and improve guest stays at all times. Since joining Rotana in 1998 as resident manager of the Al Bustan in Dubai - at a time when the portfolio consisted of six properties - I myself have seen the company make the tremendous growth to where we are today. The Middle East is an important market to us; it’s where our heritage lies and it is imperative for us to remain as the region’s hospitality leader. Rotana is opening its second hotel in Saudi Arabia this year, and a further 12 are in the pipeline. The UAE is our founding destination and we believe there is still growth for Rotana there. We will be opening two properties in Abu Dhabi this year and are currently working on three additional signings in Dubai due to open by 2018/19. BTN: Rotana has been one of the most prominent Middle Eastern brands expanding into northern Africa. Can tell us a little about where Rotana stands at present and what plans you have for the future? OK: We have had presence in northern Africa for quite some time now. One of our flagship properties is the Grand Rotana Resort & Spa in Sharm el Sheikh and since operating the property in 2005, it has continued to be a popular resort for the company. In fact we are building a strong presence across the whole of Africa; we are currently operating Al Salam Rotana in Khartoum, Sudan, and at the end of last year we announced the signing of a five star property in Dar es Salaam, Tanzania. Looking to expand further across the continent, projects are also under development in Mauritania, Tripoli, Morocco and Algeria. 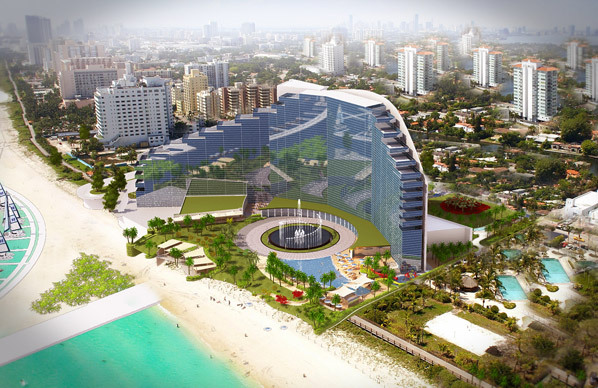 BTN: Is Rotana on course to open the 100 properties envisaged by 2020? OK: Very much so! Currently we are managing 50 properties, with 12 openings scheduled before the end the year. While our expansion plans are aggressive, we are making strong headway towards reaching this target. Over the past few years we have proved that we can successfully migrate the Rotana brand and its operational formula to regions beyond the Middle East. The strategy includes the extension of the Rotana brand and sub brands into new markets such as Iran, Turkey, Libya, Afghanistan, Tanzania, Mauritania, Morocco and Algeria. In the coming years, we will continue our aggressive expansion plans with a goal to open more than 50 Rotana properties which will add 14,208 rooms to our existing 12,607-strong room count across the Middle East and Africa. Our long term vision is to introduce the brand further outside of the Middle East. We feel our development platform is ready to enter new key markets in Turkey, Africa and Europe. We will continue to achieve measured growth and realistic expansion in locations which are of interest to us, bringing our expertise to every future hotel, convention centre, serviced apartment or prime resort. As a company, we will continue to pursue new openings and opportunities, fresh challenges, and partners, who seek the same goals and share the same aspirations. BTN: Rotana was recently voted the World’s Leading Business Hotel Brand by the World Travel Awards for the second consecutive year. How did it feel to have taken this title and what is Rotana doing to win votes as the 2015 competition opens? OK: We are extremely delighted to be recognised as the World’s Leading Business Hotel Brand for a second time. It is a credit to the Rotana team and a clear reflection of their hard work, dedication and passion which continues to exceed our guests’ expectations.